This day is for special religious observance.On this day the rex sacrorum would offer sacrifrice to the gods of an animal untamed by the yoke. This day is sacred to Janus, the god of Beginnings, and is a festival day. 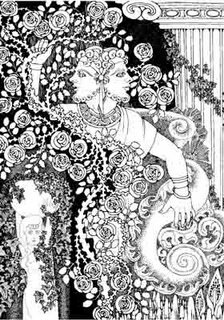 Janus was the porter of heaven and the guardian deity of gates. He is commonly represented with two heads because every door looks both ways. There were numerous temples to Janus in Rome. In wartime, the gates of the principle temples of Janus were always open. In peacetime the doors were closed but not locked. Julian was met by the senate in Constantinople this day in 361 AD and welcomed as emperor. Licinius became emperor this day in 308 AD. Decima, the middle Fate in charge of the present, presides over December, but the month may have received its name as the tenth month of the Roman calendar. Vesta, patroness of fire also laid claim to the month of December. Septimontium celebrates the incorporation of the seventh hill, the Colline, as part of the city of Rome, and according to Varro, it is also the name of the city before it was called Rome. Chariot races were held this day and the rex sacrorum (sacred king) would do a round of the graves of the argei (heroes that according to the legend took possession of some hills of future Rome from the Siculi and Liguri) on some hills, and offer sacrifice to the gods of an animal untamed by the yoke. Celebrations for Septimontium (literally ‘of the seven hills’), on December 11, were in the past considered related to the foundation of Rome. However, as April 21 is the only datum for foundation upon which all the legends agree, it has been recently argued that Septimontium was likely to have actually celebrated the first federations among Roman hills: a similar federation was, in fact, celebrated by Latins at Cave (a village southeast of Rome) or at Monte Cavo (in Castelli). Smith (A Dictionary of Greek and Roman Antiquities) suggests that this celebration took place later in this month; Platner(A Topographical Dictionary of Ancient Rome) seems to accord with the December 11 date often given, but writes "the whole subject of the Septimontium is complicated and quite obscure". The Seven Hills of Rome east of the Tiber form the heart of Rome. They figure prominently into Roman mythology, religion, and politics; the original city was held by tradition to have been founded by Romulus on the Palatine Hill (Collis Palatinus). The other six of the Seven Hills of Rome are the Aventine Hill (Collis Aventinus), the Capitoline Hill (Collis Capitolinus), the Quirinal Hill (Collis Quirinalis), the Viminal Hill (Collis Viminalis), the Esquiline Hill (Collis Esquilinus), and the Caelian Hill (Caelius Mons; Collis Caelius). The now-famous Vatican Hill (Collis Vaticanus) is west of the Tiber and is not one of the Seven Hills of Rome. "There are different versions, but it seems probable that the festival was celebrated on the three rises of the Palatine (Germalus or Cermalus, Palatium and Velia), on the three ones of the Exquilinus (Fagutal, Oppius, cispius) and on the Caelius." "The Septimontium was originally a festival of the people who lived in those places, and this should prove that it dated back to an intermediate period, between the epoch in which only the Palatine was inhabitated [sic], and later times in which people started to occupy other hills. King Servius Tullius, who made a new constitution for the city, extended the participation to the Septimontium to the Sabine inhabitants of the Quirinalis, but the feast remained a memory of the 'old' palatinal Rome, as distinguished from its Sabine part." "In imperial times the original meaning of the festival was lost and it became a celebration of the whole city. Then, (G. Vaccai – Le Feste di Roma Antica) somebody at the time of the emperors, when the city had grown bigger, started to wonder which were the seven hills, therefore they were identified with the seven hills that we know today." This day is the beginning of the tribunician year, or the day on which the tribunes would begin their year of service to the people of Rome. A civic ceremony would be held this day, followed by a feast to which all citizens were invited. The first tribunate of C. Gracchus began this day in 124 BCE. This is the date of the Roman festival of Lux Mundi ("light of the world"), still celebrated in Europe, especially in France, where this day commemorates Liberty, the goddess of light whose Statue was presented by France to the United States. This is among the first of the festivals of light traditionally held in the weeks before the winter solstice; and one of many goddess festivals of peace and freedom held in early December, before the more raucous events such as Saturnalia on 12/18 that precede the Winter Solstice. The Inuit celebrate the Bladder festival today. To propitiate the souls of the animals they have killed during the year, they undergo a five day purification ritual in a special building called a kashim with the inflated bladders of all the animals they had killed that year. Under the full moon at the end of the five days, the men cut holes in the sea ice about a quarter mile from the shore to dispose of the inflated bladders. After leaping through the flames of a bonfire awaiting them in the village upon their return, they return to the kashim for a final sweat bath and contests of strength. On this day in Konya, Turkey the Commemorative Ceremony for Mevlana, the great Sufic saint (1207-1273), is celebrated and is known as one of the world's greatest spectacles. More than a million people descend on Konya, the ancient Seljuk capital, for the festival of the Whirling Dervishes. At the Mausoleum of Mevlana in Konya, mystical ceremonial dances are performed in honour of the great teacher and thinker. 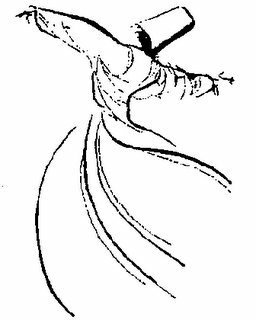 Mevlana (which in Arabic means ‘Our Lord’) taught the preeminence of complete tolerance, positive thinking and awareness of God through love.